UTRGV’s Yannick Kambrath, FIDE Master, makes a move during a chess competition. HARLINGEN — The Vaqueros have punched their ticket to the big show. 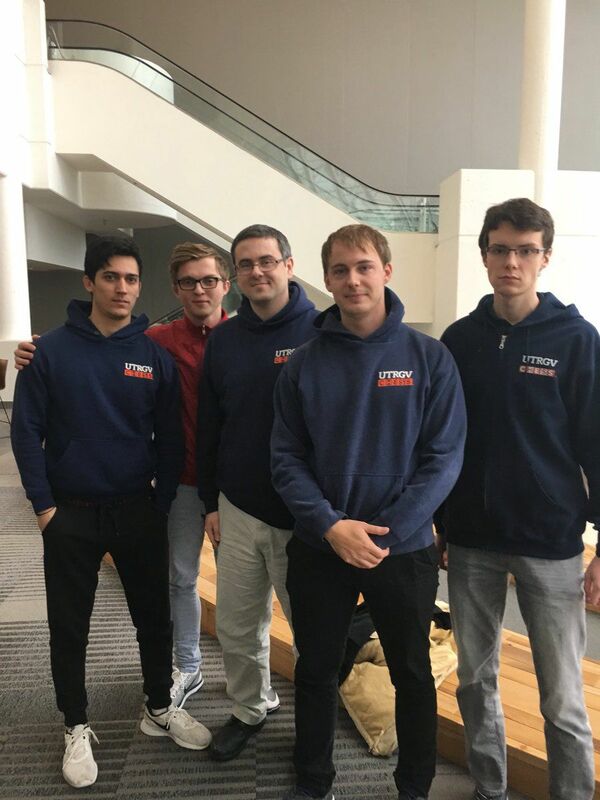 The UTRGV team has advanced to compete for the President’s Cup in the college chess Final Four as the number three seed in the country. The tournament will be held in March 30 and April 1 at the Marshall Chess Club located in New York City. It is UTRGV’s second appearance to the Final Four of College Chess. Also advancing to the Final Four are St. Louis University, Texas Tech University – which is making its fifth straight appearance – and defending national champion Webster University. UTRGV Chess Team at Ohio University during the Pan-Am Intercollegiate Chess Championship held in December. On their way to the 2018 Final Four at the Pan-Am Intercollegiate Chess Championship at Ohio University in Athens, Ohio, the Vaqueros competed against more than 50 schools, 200 players, 15 grandmasters and 29 international masters. UTRGV will play St. Louis University in the first round, Webster in the second round and Texas Tech in the third round. Each team can have 4 starters, and up to 2 substitutes. It is a round robin event, and the standings are based on individual (not team) points. The tentative roster for UTRGV, coached by Bartlomiej Macieja, consists of Andrey Stukopin, Vladimir Belous, Kamil Dragun and Carlos Hevia Alejano. UTRGV beat the University of Michigan, Rutgers, UT-Dallas and Princeton to advance to the Final Four.